UPDATE: Please read this. There is a much better and updated version of this blank template. If you are not much of a reader, use this link for download. Basic template for Blogger template development. This is a basic and plain blogger template with no design or customization added. You can use this as a base for developing your own blogger template. 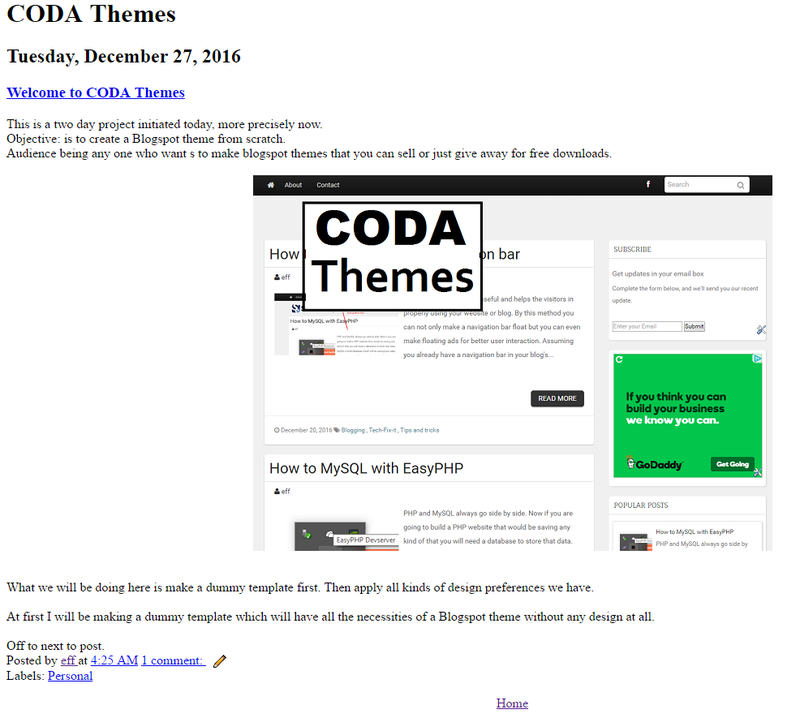 I am not making any demo page for this theme since it is complete plain. It should look something like this photo when applied. With your content of course.